Save for a few odd colleges and universities, it’s a well-known fact that where there is a college campus there will be drinking. Of course, this consumption will inevitably lead to the late night snack. It seems as if every campus has their drunk food of choice. At Ole Miss, people swear by the salty goodness of chicken on a stick and crispitos from the Chevron. At my alma mater, it was the mysterious Manoush sauce on a Manoush dog, but in Charlottesville at the University of Virginia, people clamor for the Gus Burger from White Spot. 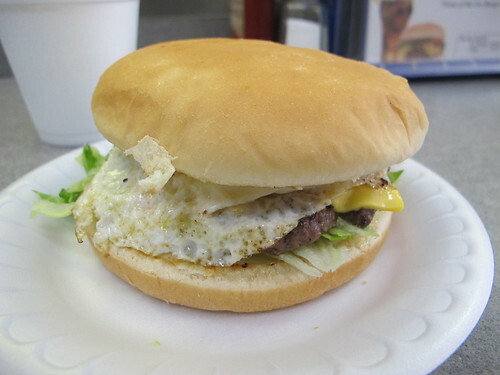 There isn’t much fanfare to ordering a Gus Burger. 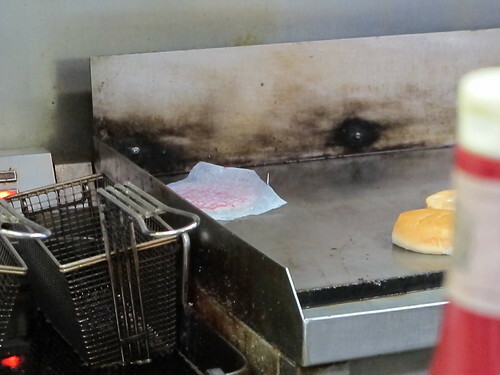 You saddle up to the counter, put in your order, and a single patty is slapped on the griddle. A few minutes later, your very own Gus Burger arrives. 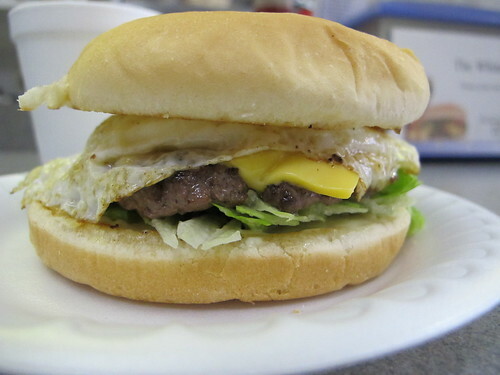 There’s an egg, cheese, burger, bun and not much else. 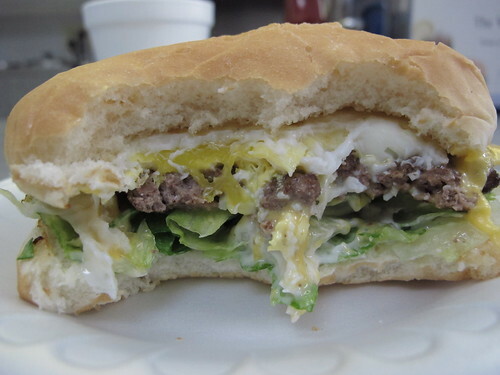 However, it’s when you actually take a bite that you realize the beautiful simplicity of the Gus Burger. The yolk has barely solidified and it combines with the mayo to make a rich, creamy sauce that only accentuates the griddled goodness of the patty. On its own, the patty isn’t particularly juicy, but this really is where the whole is greater than the sum of its parts. There’s nothing inherently special about the Gus Burger, in fact it’s in need of a little salt and pepper, but it’s a classic Greek dinner burger done well. Even without an alcohol induced appetite, this is a burger worth eating.